For how to use the none washed beans, you simply soak the beans you would be using in some water and let it stay in the water over night or for a few hours before blending. I like to use the Honey or Oloyin beans as it is softer and sweeter. 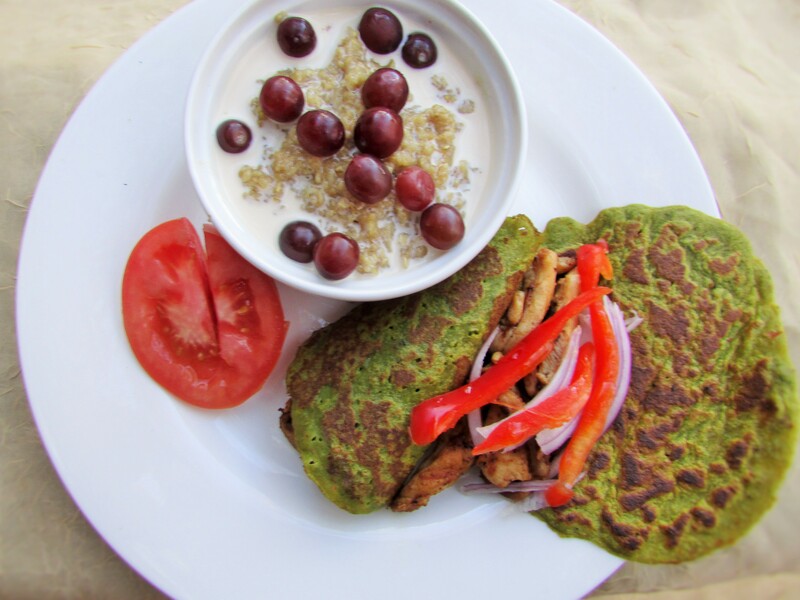 visit Shakirat at http://www.9jafoodie.com/ for more ideas on how to use the unpeeled beans. I simply added some red kale, green kale, tomatoes, a small onion, bell peppers, one finger of cayenne chili and a small piece of ata-rodo into the blend when I was making the paste. I remember posting the picture on the food group “So you think you can cook” and Shakirat called it “The biggest vegetable cheat ever! The first picture was a simple mini akara crepe filled with some tomatoes, onions and siracha chicken. 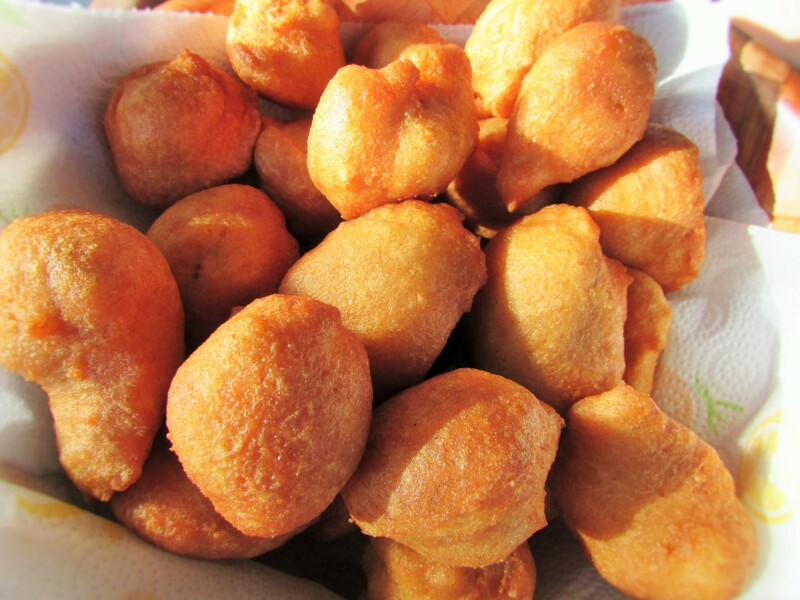 The second picture is just mini akara balls. I like the little balls. I simply used a tablespoon to scoop the mix into the hot oil to fry. Soak beans for about 10 minutes or overnight and wash by either pulsing in a blender or rubbing the beans against both palms and draining out the skin. After washing the beans, blend it with all the ingredients (except the oil, and salt) until smooth. (If you are doing 9jafoodie's "Powered up Akara" you may add all your veggies; which I did at this point for my veggie akara. For the plain ones I simply just blended it without the veggies). Do not Blend with too much water. To have fluffy akara like mine, you have to be careful with adding water to the batter. Heat up a deep frying pan or deep fryer with enough oil for deep frying. 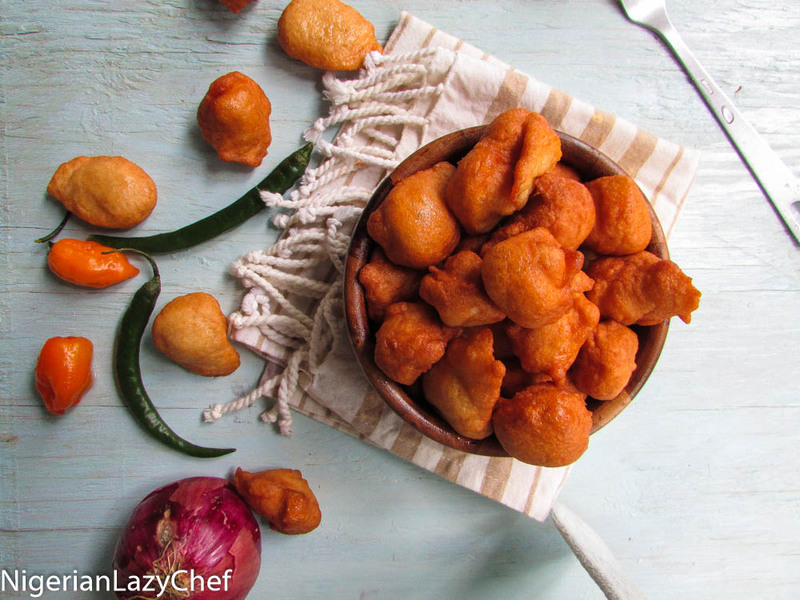 When the oil is hot enough; using a tablespoon scoop, pour the akara batter in little increments into the oil to fry and form balls. Fry each ball until golden brown and with a slotted spoon scoop out the cooked balls and drain unto a paper towel to remove the excess oil. Repeat the process until the batter is used up. 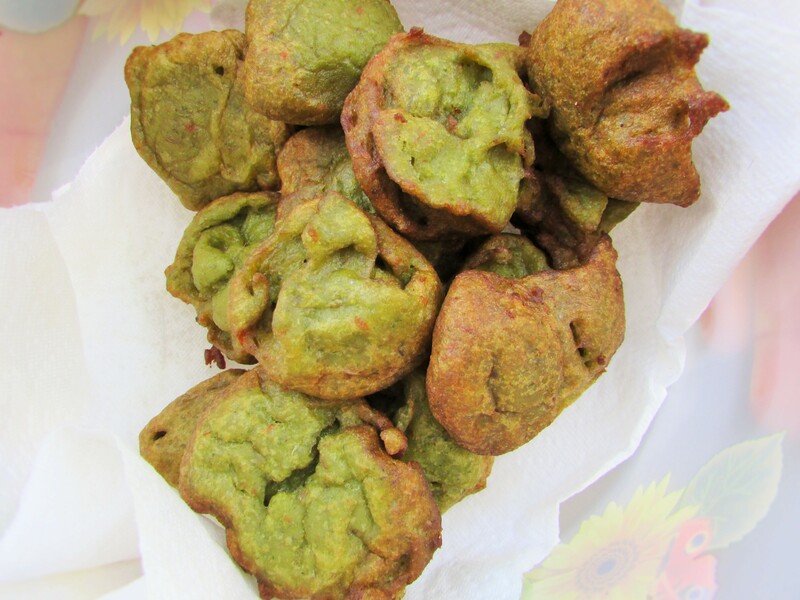 This entry was posted in Akara, Beans, Breakfast, Breakfast ideas, Protein, Uncategorized and tagged akara, fluffy akara, fluffy akara balls, fluffy bean cakes, fried bean cakes, how to make akara, how to make fluffy bean balls. how to make fluffy akara, mini akara balls, vegan akara, veggie akara. The mini veggie balls and crepes are inspiring. should try this one day soon. 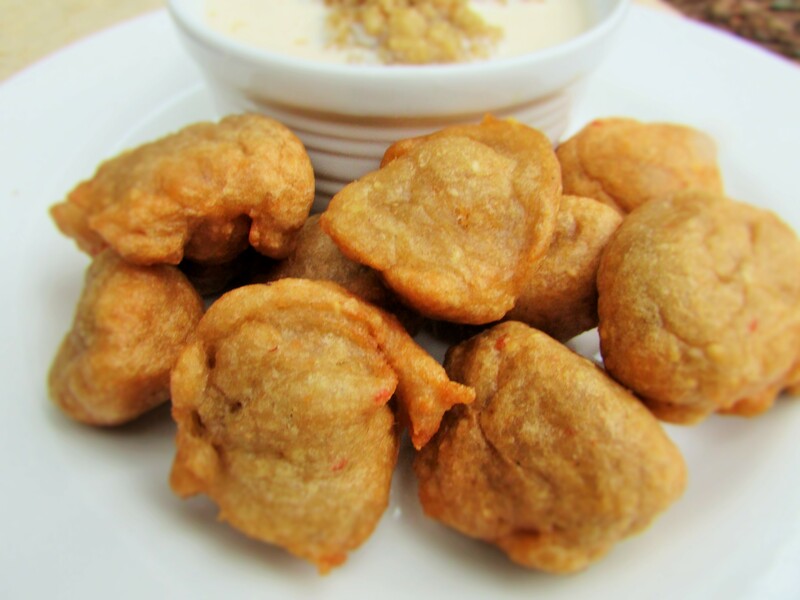 My husband had an ‘akara moment’ sometime in the past and I used to make them every weekend. Now the possibilities are endless…. You didn’t mention adding the egg. My akara balls keep sticking to the pan seriously nd get burnt, heeelllppp!! ooh, so sorry dear. for it not to stick on the frying pan, u need to space it while put it on the hot oil. and make sure is not too light when mixing it. Hi... my name is Nma. I am quirky, and what you would call a nerd. As a growing girl, I disliked ‘going into the kitchen’ because I was so ‘lazy’. In fact, my laziness when it came to cooking could be said to have superseded epic proportions! At a point all I could cook was ‘jollof supergetti’ for my brothers. While my father was alive (may GOD rest his soul), he used to have me make him fresh, oil-less okra soup and boy did I hate it! As the years went by, I started falling in love with art. And the necessity to cook for others, and myself, pushed me to look for ways to rustle up simple but delicious meals. From then, I became more interested in cooking and started developing recipes. I now see cooking as an art, and I consider it my own contribution to the arts in general. Cooking has inspired my project - “Dine Africa”, which is set to show Africa’s culinary culture and exotic cuisines alongside its wide variety of ethnic nationalities, cultures and enormous land mass. Please join me as I celebrate the arts through African (Nigerian) cooking; and through my mother’s recipes (some of which I tweaked to fit my choices). I shall also share some easy kitchen tips for the ‘lazy’ cooks like me. Join me as we celebrate food, love and life. Dine Africa with me. Blessings.